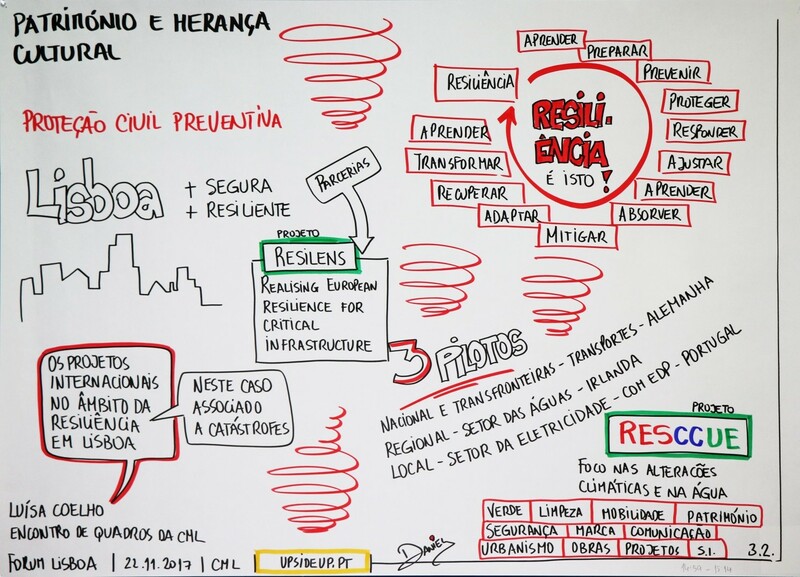 Lisbon City Council held on last November 22th the event “Encontro de Quadros da CML” | Meeting Staff of CML. 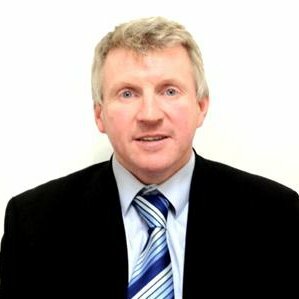 Herein were joined more than 500 employees, from the Lisbon municipality and other neighbouring municipalities, parishes and companies of the municipal scope. 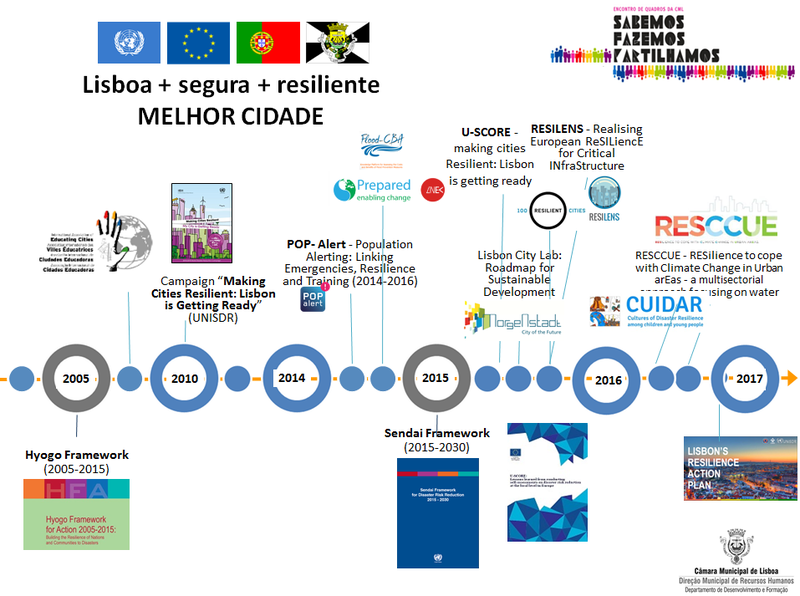 Civil Protection made the following presentation, “The International Projects in the scope of the Resilience in the city of Lisbon”. 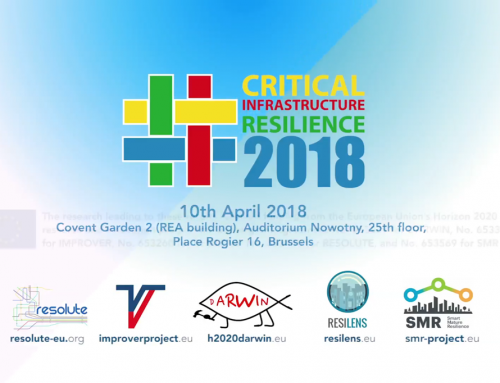 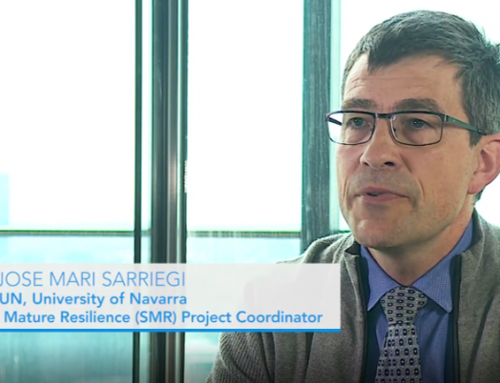 This presentation makes a historical review of the work developed by the Municipal Service of Civil Protection in the framework of resilience projects in the city of Lisbon that contribute to a SAFER CITY, MORE RESILIENT, A BETTER CITY. 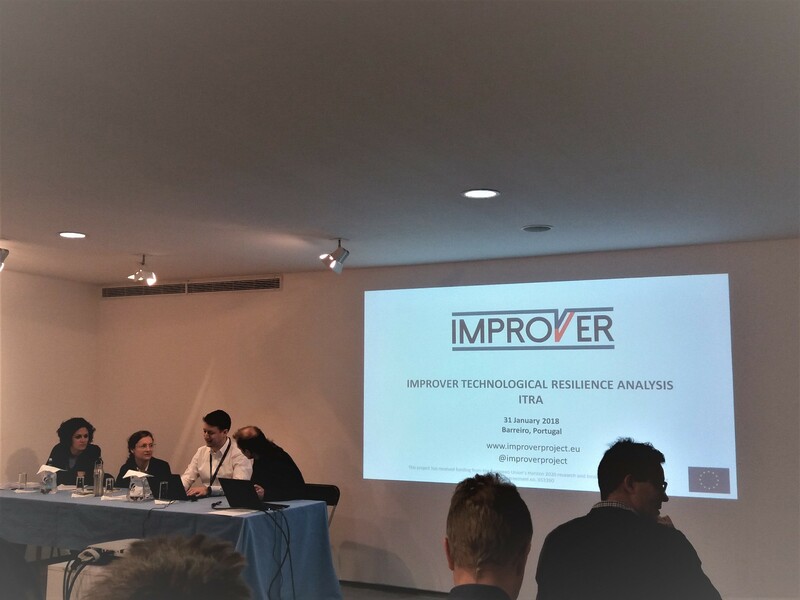 The ongoing H2020 projects, RESILENS and RESSCUE were presented more in detail. 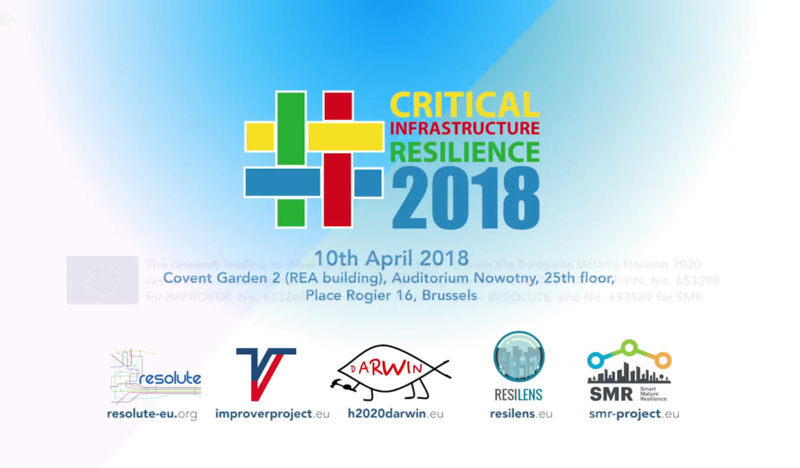 This presentation was aligned with the targets and priorities for action to prevent new and reduce existing disaster risks proposed by Sendai Framework for Disaster Risk Reduction 2015-2030, special focus on Strengthening disaster risk governance to manage disaster risk and Investing in disaster reduction for resilience.